BYJ, JKS, LMH & Hallyu Star (Asian Drama - Movie) : Thailand Site...: [News] Jang Keun Suk Becomes Nature Boy for Upcoming Japan Album. 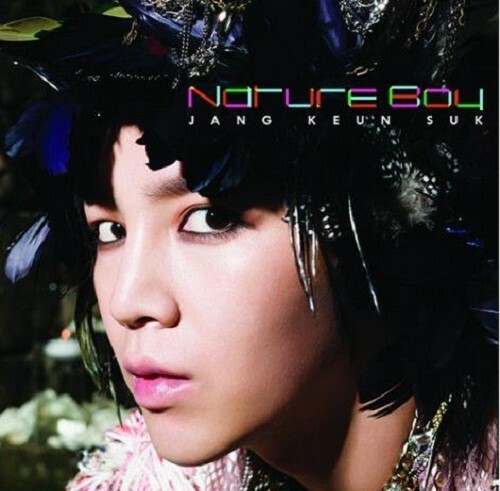 [News] Jang Keun Suk Becomes Nature Boy for Upcoming Japan Album. Jang Keun Suk will be releasing a new album in Japan with another flower boy concept. Japan′s Oricon reported on April 10 that "Jang Keun Suk will release his second studio album in Japan. The title of the album to be released on May 29 is Nature Boy, and it will mark his return to promoting as a singer." Nature Boy will be Jang Keun Suk′s first album in a year since his first studio album Just Crazy in 2012. At the time, he had sold over 112,000 copies, a feat that placed him on the top of Oricon′s weekly chart. For the upcoming album he will emphasize his boyish charms surrounded by nature, just like ithe title implies. On the day before the album′s release, on May 28, the actor will hold a countdown event in Tokyo titled Nature Boy Birthday Count Down with his fans.